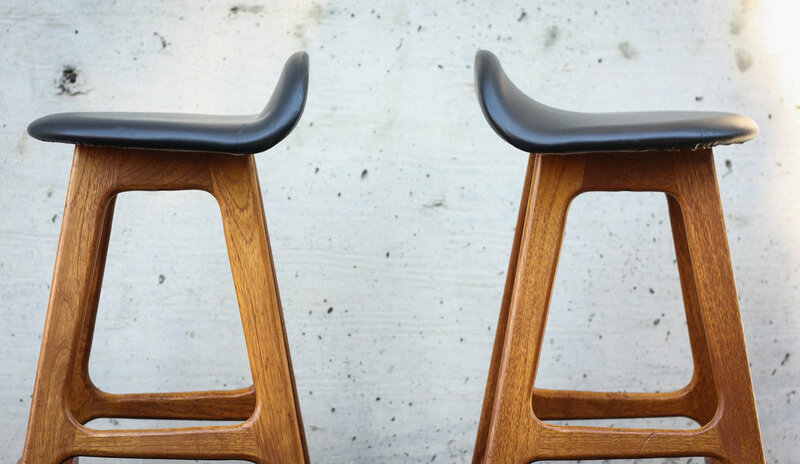 Can't beat the lines on a true vintage Erik Buch bar height bar stool. 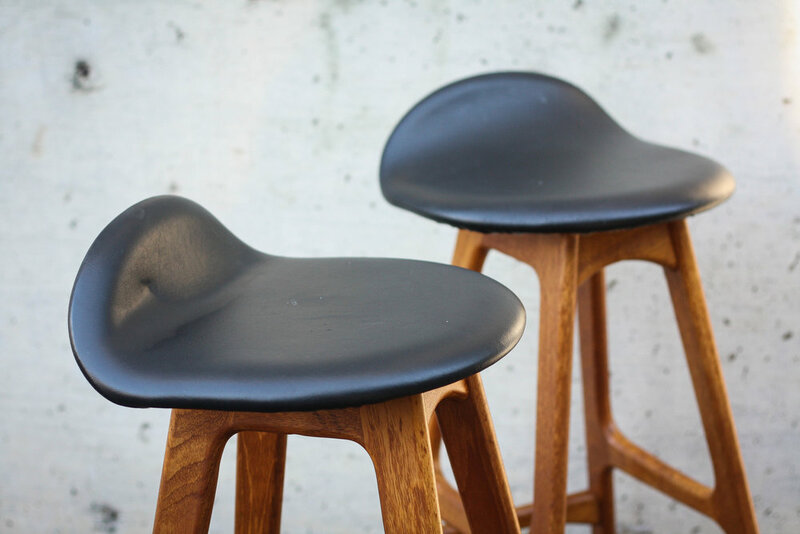 Elegant and functional counter stool with a minimalist design. Angular legs and a surprisingly comfortable non-nonsense seat. - Frame has a reinforced footrest. 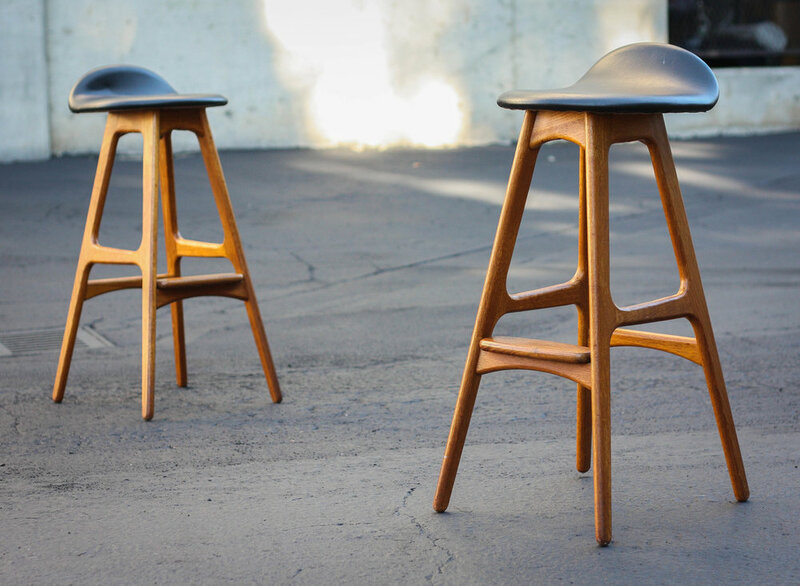 - Stunning sweeping lines and rounded teak wood legs. Very good vintage condition. Wear commensurate with age and use. As noted in the photos the seats would benefit from being reupholstered from an aesthetic standpoint, but they show well enough as-is there is no immediate need to do so.